Tinplate motorcycles were tricky things to make, the balance had to be perfect in order to prevent the cycle from tipping over. In 1933 Louis Marx introduced a Motor Cycle cop that used a large wind-up key that right itself, just like a real rider would do when going around corners. But the toy that features in many books is the Arnold 700, the dismounting rider. It has three actions, dismounting, straight riding and around in circles. Karl Arnold founded his company in 1906 in Nürnberg, Germany. Nurnberg was hit badly during the Second World War and the factory had to be relocated in Upper Pflaz under the direction of his son until it could be rebuilt. The Germans made excellent tin toys both before and after hostilities until tin toys fell out of favour due to safety issues. 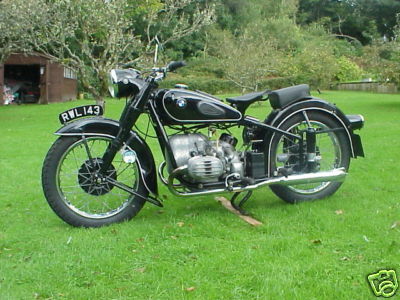 The motor cycle the toy was based on the BMW flat twin motorcycle R 67 pictured here. The machine could reach a top speed on 93 mph. My example is the second one I have purchased, the first did not have a key and was not in as good condition as this one. I got it out occasionally to show my kids when they were small, they were intrigued by it. I had to be careful not to over-wind it, as with all wind-up toys, they have a breaking point...go past it and the mechanism is ruined. I sold my original model for two boxed Tinplate Batman toys and some cash, because at the time the sheer scope and magnitude of collecting such a wide variety of things was daunting. Was it ever going to get to a point that I would have enough to open? When I did decide I would tackle the impossible task of collecting popular culture, and not just TV & Film stuff, the Mach was on the must have toys to get! I had to wait over ten years to get another, but he is displays proudly in the 1940’s section and is a rare toy in New Zealand. The automobile shop Fizazz in Lichfield Street had one in their private collection, whenever I felt like I was missing mine I would go and have a look at theirs....dreaming of the day I would get another. On the video selection of the museum there is a clip showing the toy in action, it is truly a design classic and you can see why it is highly sought after by collectors. Who doesn’t want their fortune told, to know the future? Wouldn’t be great to produce a toy that did just that...but it had to have the right look, be simple, but effective. Enter the magic 8 Ball, but like all good ideas its original form was far from ball-like in appearance. Albert created his own version however called the Syco-seer a tube filled with liquid that floated answers to the top. But like all things successful, it is the way you do it that counts, not what it is...Enter Abe Bookman who tried encasing it in a crystal ball to help promote it...better but still no dice. 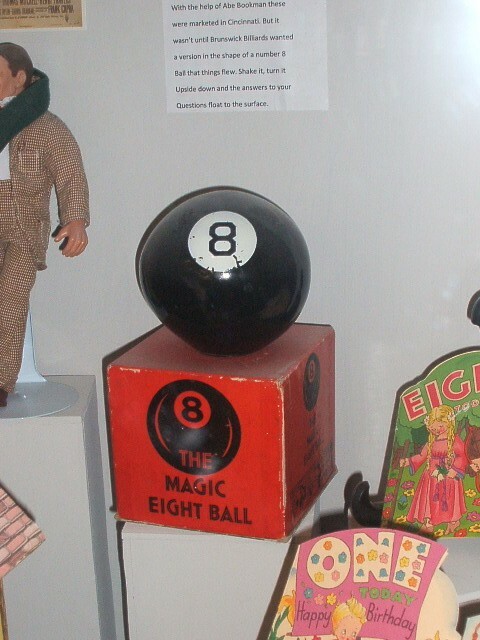 This did however attract attention from Brunswick Billiards, and they wanted a promotional toy in the shape of a no 8 billiard ball. This did the trick...millions have been sold. Did the ball predict this? The art of fortune telling has long been a part of popular culture. “Cross my palm with sliver” has become a cliché it has been used so often in movies and television. The most popular methods of fortune telling are the crystal ball, tarot cards, numerology, astrology and palmistry. Of course it‘s not just the everyday people that seek advice, but the rich and famous and politicians, such is their desire to succeed they want people to reassure them of their continued good fortune. For those who have it, are always afraid of losing it. In 1966 Reyn Guyer was playing a game of Flintstones; a type of musical chairs with rocks. Paper stones were laid on the floor, under which was placed counterfeit cash. Players would step from stone to stone whilst fending off your opponent with polyurethane rocks. When Geyer was struck by one of these rocks he had an “idea”...to prove that the age-old rule of throwing balls in the house could be done! The idea was a huge hit; in the first year alone, 4 million were sold! Parker Brothers marketed a whole range of games to turn Nerf into a brand name. There was Nerf Soccer, Golf, Ping Pong, Basketball, and even Nerf Pool. 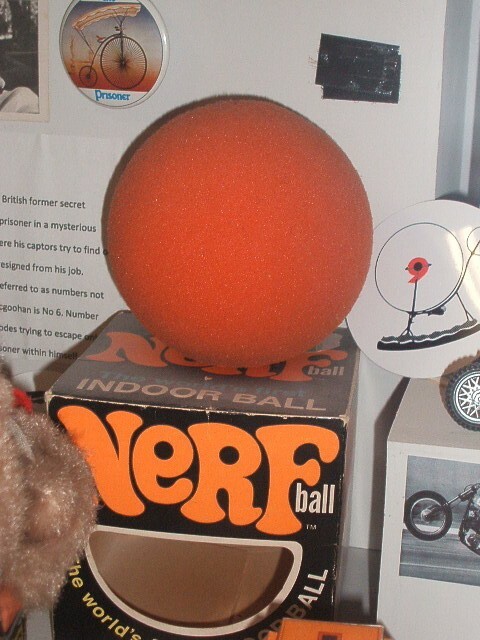 But the grand-daddy of them all came in 1972 when Parker Brothers did further research and reconfigured the materials it used to produce Nerf Football. Nerf pencils followed, a Playmobile with plastic like characters called Nerfuls and heaven forbids, Nerf chewing gum. Not made out of foam I presume?